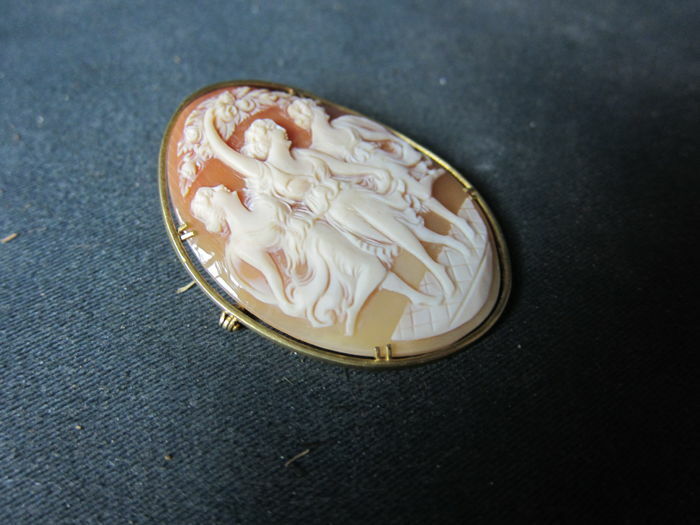 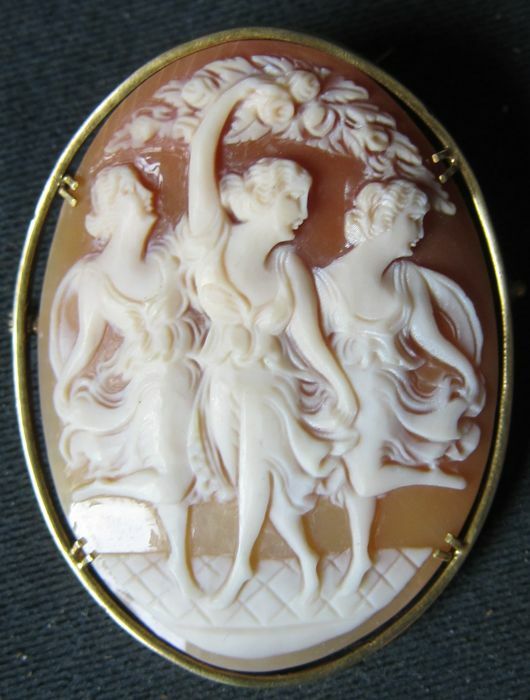 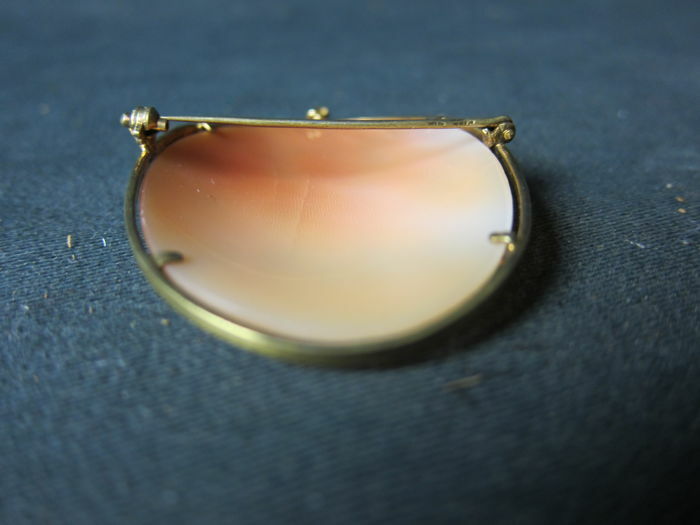 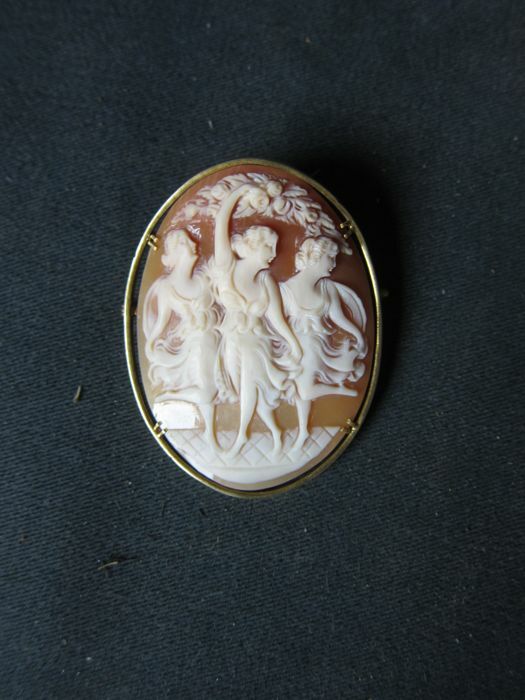 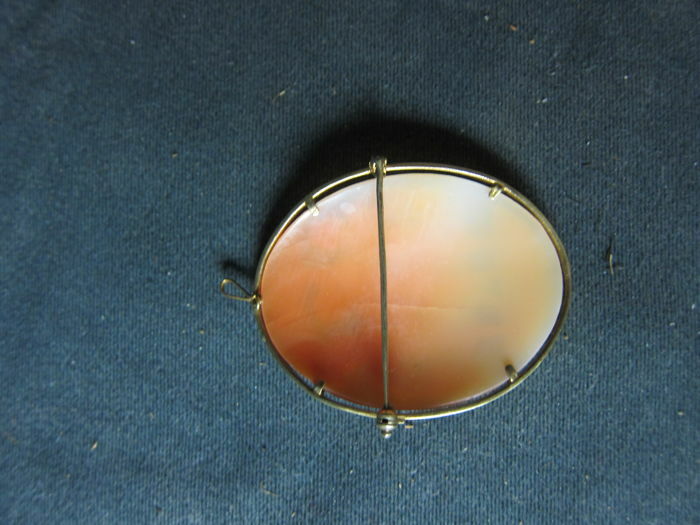 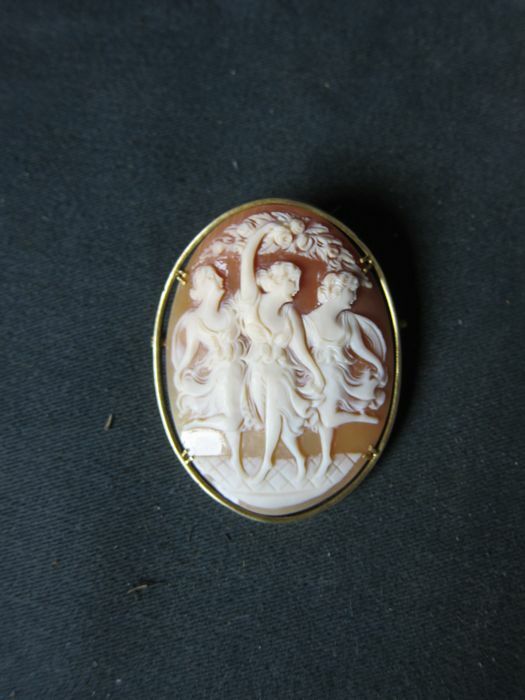 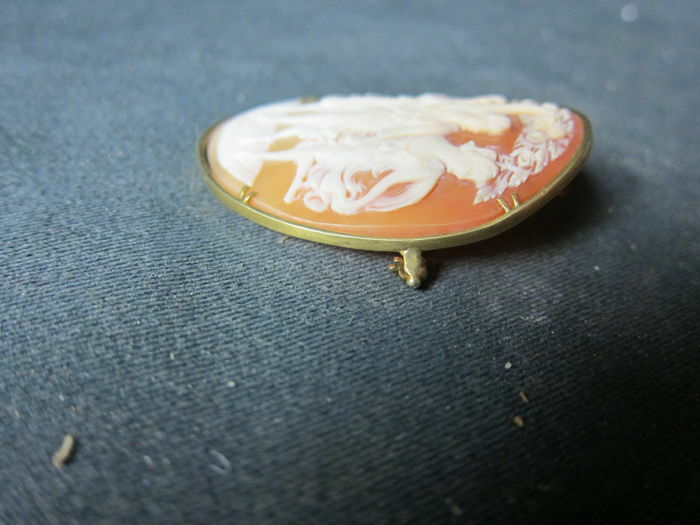 An 18 kt gold brooch with a carved shell cameo in very fine quality. 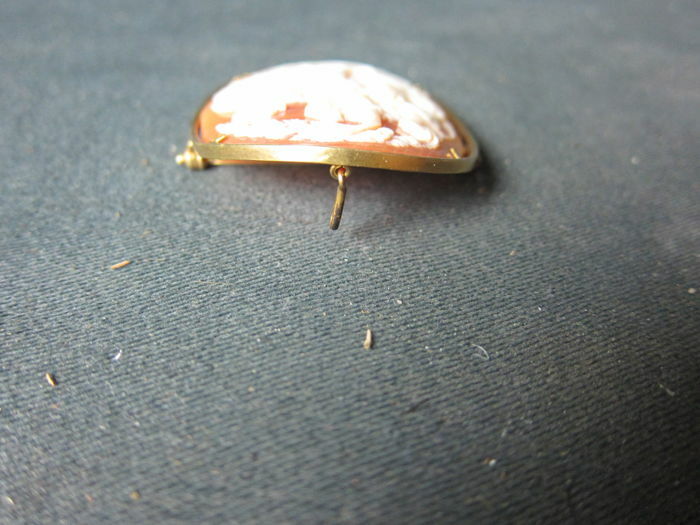 Material: 18 k yellow gold, not marked but chemically tested for 18 kt gold.
. Measurements: 4.1 x 5.5 cm. 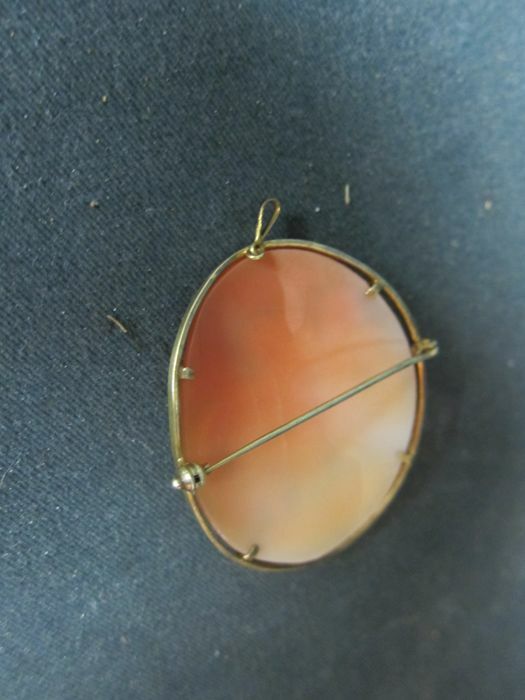 It will be shipped by registered post.